Watch this Trio use their Truck Wheels to Rescue a Bus! It can get pretty cold and snowy up in Montreal, Canada. In the wintertime, it’s always a good idea to have a proper set of snow tires on your truck wheels or car rims to get through without issue. Even then, the weather can cause some serious problems for the public – especially public transportation. 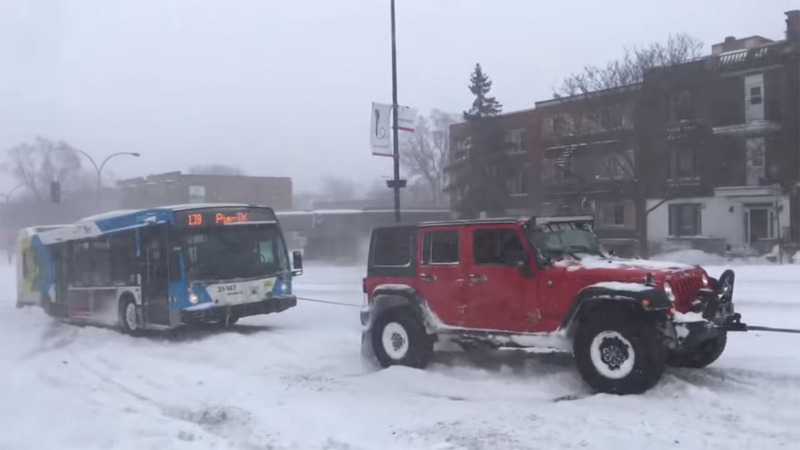 On an icy, snow-covered road in Montreal, a city bus was having trouble getting up a hill and providing the public with transportation. So, three good Samaritans got together and hooked up with a few tow straps and their truck wheels to pull the bus out of trouble. Lined up was a Jeep Wrangler, Toyota 4Runner V-8, and a Toyota Sequoia. The three SUVs had been modified for off-roading with all sorts of goodies such as lifted suspensions, lighting, bodywork, truck wheels, and meaty tires that were made to churn through nasty stuff like this. The three SUVs strapped themselves up to each other and the bus, and let it rip. 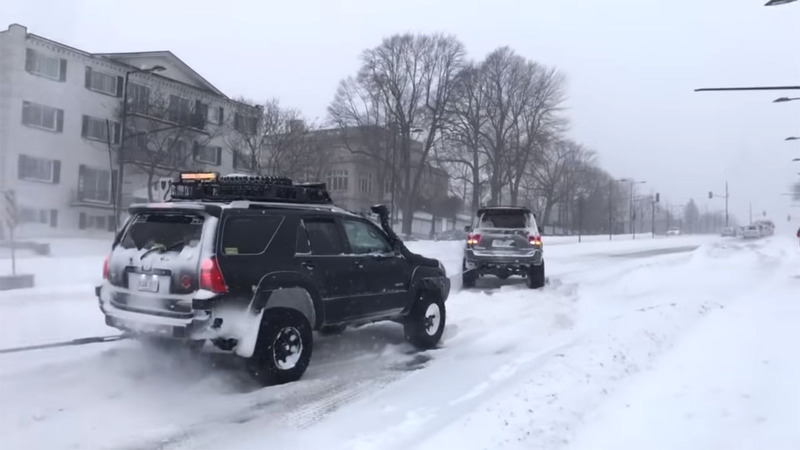 After a few attempts at pulling and their truck wheels dig through the snow and ice, the three SUVs were able to pull the bus out of trouble and get everybody on the bus run going to their stop. The Jeep J6 Concept Is Riding Truck Wheels to Moab! The Jeep JT Scrambler Concept Rolls in with Retro Custom Wheels! Ride the Bull with this Lamborghini Urus on Niche Wheels!